This report focus on to evaluate the market position of Walton and analyze the strengths and weaknesses, which will help R.B Group of Companies to initiate effective promotional and distribution strategy that will boost in sales. Other objectives are to find out the problems Walton is facing in marketing its products. Finally identify the satisfaction level of dealers toward the company and to detect the problems faced by the respective persons of distribution. Now a days, everyone likes to have more comfort in life. As progress relentlessly towards this it has been realized that this is the time to pay increasing attention to the subject of human comfort and entertainment. That’s why there is a huge growing demand of fashionable goods in this world and lots of companies are paying their attention in this regard. Walton Technologies Corporation is one of the sister concerns of R.B. Group of companies Ltd. is now one of the leading companies in Bangladesh. It holds its long cherished desire to be the Number One Company in Bangladesh both in volume and turnover. which inspired it to go for expansion of its market internally to establish as a high quality achiever. In this connection Walton is doing pretty good in this highly competitive electronics market. And there is a tremendous role of the dealers to promote the products through effective salesmanship to the customers. They are of vital importance for every company because they make a huge contribution in marketing and promoting of electronics products. So the more effective and efficient the sale forces are, the more profit they can make for their own as well as the company. This research program is undertaken especially to judge the market position of Walton. In spite of its sincere efforts, excellent image and credibility, the company is pressurized by the growing and aggressive competition in the industry. Faced with increasing competition in the market and huge sales target Walton realized the fact that there is no way but to be more aggressive in marketing. Though happy with the existing marketing system yet Walton management wants to keep their eyes open for unseen days and wants to develop their existing marketing system to cope with changing environment. Therefore Walton management has assigned to prepare a survey on The Market Position Dhaka Zone of the country. Presently Walton. is marketing its products through its own sales forces and dealers all over the country. Therefore this paper on “The Market Position of Walton.” tries to explore the field forces sale performance, quality of the products, dealers satisfaction, advertising effectiveness, customer service, transportation, communication and so on. The survey identified problems in the overall marketing. This survey has been conducted on 40 dealers. Since the sample size is sufficient enough to get the exact situation on the market position at Dhaka Zone, I hope that this effort will be helpful to the Walton management in future planning and thus achieving its goals. Among the finding problems, delivery of the product to the distributors in time is one of them.37.5% respondents said that the delivery of products is sometimes delayed and only 20% of them said on always in time delivery. This gap of delivery occurs for various reasons like unavailability of the products. To evaluate the market position of Walton and analyze the strengths and weaknesses, which will help R.B Group of Companies Ltd to initiate effective promotional and distribution strategy that will boost in sales. To find out the problems Walton is facing in marketing its products. To know the efficiency and effectiveness of the marketing executives. To identify the strengths and weaknesses of the marketing of Walton. To detect the problems faced by the respective persons of distribution. This is basically a ‘descriptive research’ where it has to describe things such as the market position and its improvement as well as the attitudes of customers to the dealers and the products. Here the report and study will generate information on the basis of four P’s. The four areas are Product, Price, Place, and Promotion and more concentration will be given on promotion. The main instrument that has been used for the field study, is questionnaire, containing both structured and unstructured questions. The designed questionnaire has been pre-tested before applying for mainstream survey. Later the pre-tested questionnaire has been modified (if required) and has finalized. Primary data has been collected by interviewing the Dealers and Sales Executives by questionnaire & oral conversation with the respective personnel’s of distribution. Secondary data has been collected from the previous studies on distribution channel of the company, different texts, research findings, magazines, articles etc. While collecting the primary data the instant response were found and it was possible for me to observe the real situation. Questionnaires: One set of questionnaire would present to the dealers, salespersons for their answers. Personal interview: Respective persons regarding distribution. All the listed dealers of R.B. Group of Companies Ltd. of my working areas in Dhaka Zone. R.B. Group of Companies Ltd. is one of the largest registered Limited Company in the electrical, electronics and automobiles sector in Bangladesh. For its comprehensive nature, company directly engage in the Import and Assembling works. Now it is fully engaged in importing, manufacturing and marketing in various kind of electrical, electronics & automobiles products (like Color Television, Refrigerator, Washing Machine, Microwave Woven, Air Conditioner, IPS, Voltage Stabilizer etc), Vehicle Items : Motorcycle, Generator, Pickup, Covered Van, CNG operated 3-wheeler, etc. Agricultural Items: Tractor, Power Tiller and Diesel Engine. Others items: Zinc Ingot, C.I. Sheet etc. .R.B. Group of Companies Ltd. works under the leadership of its Board of Directors and also accepts business guidance from the different renowned Consulting firms of home and abroad. Company’s authorized capital : TK. 2,50,00,00,000 (Two Hundred and Fifty Crore) which is equal to about US$ 43 million. Paid up capital TK. 26,20,00,000 (Twenty Six Crore and Twenty Lac) which is equal to about US$ 4.5 million. 1977 Started trading business under name of firm “Rezvi & Brothers”. 1992 Started directly and indirectly import, production and marketing of C. I. Sheet and its related materials. 1993 Established R. B. Dairy Complex Ltd.
1995 Started Electrical & Electronics Business. 1998 Establish Tricon Electronics Ltd. and Started Production of Television. 2001 Registration of R. B. Group of Companies Ltd. & Expanded Business in Electrical, Electronics & Automobiles Sector. R.B. Group has Sales, Service and Production organization comprising of 280 Executives. It has own sales and service centers in all the major cities of Bangladesh. It has a sales network of 175 dealers in the major and minor towns all over the Country. R.B. Group has 25 Sales and Service Centers and more than 45 Engineers and Technicians are engaged to provide prompt after-sales-service at different parts of the country. They render periodical services for WALTON product as per the need of the equipment. In this part of the report my survey and its findings has been described of Walton product. After the survey I have found that the performances of Walton Marketing Executives are not so effective and satisfactory in the Dhaka Zone. Walton should be more initiative and build up prompt and effective strategies to increase their product sale in this part of the country. The details of Dealers and Salesmen opinion about the performance of Marketing Executives are given gradually in this part with the findings and recommendation. Hope this part will be fruitful for R.B. Group of Companies Ltd. The marketing of electronic products is direct marketing. Walton provides 5 years warranty of picture tube, 1 year of spare parts and 5 years after sales service for color TV, 5 years of compressor, 1 year of spare parts and 5 years after sales service for Refrigerator and the same facilities for all its products. Walton gives credit opportunity to the distributors. This credit opportunity is only given up on them whose have goodwill and amity with the company. But for this, the dealers must have the permission from the higher management. This survey report of Walton has been conducted Dhaka Zone of the country. For this research report I have to make a sample size first. In this view point I have decided to conduct my survey on 40 dealers. I collected my relative information about the performance of Walton sales executives by asking them some questions that I have prepared in my Questionnaire. Timely delivery is one of the most important matters in the case of the distribution of any products. When a dealer gives an order, the marketing executive makes him confirmed that he would get the delivery of product in the scheduled time. In my survey I find that some of the dealers complain that they sometimes do not get the delivery of Walton product in time. The Marketing Executives collect orders from the dealers. A Marketing Executive works in a specific area. He supplies the required products to the dealers. If the products are not supplied properly and any problem is created in this regard, the Marketing Executives themselves have to deal it with the dealers. As a result the dealers will not be inclined to receive the products of Walton and the target of turnover will not be fulfilled. So they should be motivated for in time delivery. From my survey I have found that most of the dealers suggested for prompt service. 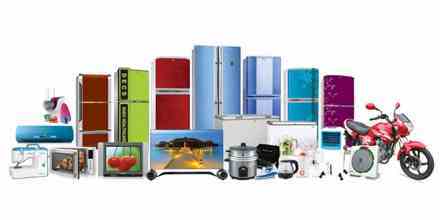 Besides they also suggested service from respective show rooms and home service specially for Refrigerator for increasing sales volume of Walton products. The reason is that most of the competitor companies are now providing home service as well as service from show rooms without any delay. The customers have good faith in those companies. So to face the competition in the market Walton should adopt the policy of providing those facilities to the customers. The above table indicates that the per week sales of Walton products are somewhat satisfactory. But this percentage should be increased by effective and efficient marketing. The above table indicates that the per week sales of Walton products in cage of Refrigerator are not satisfactory at all. So this percentage should be increased by effective and efficient marketing. This is not an efficient sales force performance. In fact the performance of Walton sales force should be more effective and prompt. In any organization the dealers play vital role, because it is they who bring goods to the customers. Then they collect money and deposit it to the organization accounts. So the future of the company depends on their efficiency and devotion to their work. Therefore the company should give attention whether they are satisfied with their work or should look after about their problems that they faces in doing their jobs properly. Under rate: Under rate of some product crate great problem of dealers to perform their duties effectively. During underrating of any product, the product sales in Dhaka B.B Stadium Market lower price than the company’s actual price, therefore the customers do not prefer to purchase the product from other show rooms at the company’s actual price. As a result they purchase the products from stadium market at lower price. But it is the duty of the dealers to fulfill their company target of that product with the actual company’s rate which is very much difficult for them. However the dealers try to fulfill their target. They often sell the product to the customers with stadium market price and covers the makeup price by selling the product of other companies. Waiting for service: It obstructs the dealers to provide service to the customers timely because the company does not provide quick service. So the customers have to wait most often for along time. Consequently it effect fall upon the company. The low rate of mobile electricians’ visit is also responsible for waiting too much. Besides most of the customers want to get service from the show room from which they have purchased the product. But Walton does not provide service from respective show rooms. Lack of proper monitoring: Usually the supervisor or upper management of the sales forces is responsible to monitor the performance of the dealers activities. But unfortunately they don’t perform this job properly. Therefore the monitoring of Walton is very weak. Because of weak monitoring, if any problem arises, the dealers have to solve the problems by themselves. High Rate of Product: The price of some of Walton product is very much high compare to other competitive companies’ product. In our socio-economic situation consumers always prefer to buy low price product. Therefore the dealers face obstacles in selling products to the customers. Besides some customers also prefer low price product of other company than that of Walton. Table: Customer satisfaction level about the price of Walton products. Comments: The above table indicates that the price of Walton product is somewhat higher compared to that of competitor companies. If same products are sold at less price, the customers will rush to those price. Therefore, the authority should be concerned about price of their products. From my dealers interview I came to know that the dealers are not enough satisfied with the motivation they get. They mostly want credit facilities, transport facilities. Most of the dealers claimed more commission. Some of them asked for technical support from the company to provide customer service from their own show rooms. Even there are few dealers who provide technical support from their own sake to attract customer. From marketing point of view, we know that the dealers as well as salesmen are the ambassador of the product. So it is very important to satisfy and motivate these persons. The company can motivate them by giving occasional gift, bonus, reward for volume of sales and so on . The company may organize annual conference with all dealers where they can discuss about the well being of the company as well as the dealers. It is my opinion that Walton should take some effective and efficient promotional activities. Advertising is very important to run a product for it brings the message of the products to the customers. So Walton should advertise in both electronic and press media. Newspaper advertisement on special days, sponsorship in cricket and such tournaments, advertisement on traffic islands, advertisement on the surface of over bridges, wall advertisement, advertisement at different junctions etc. should be introduced immediately. The Double- Decker car advertisement has been proved effective from my survey. So the number of car advertisement should be increased. Besides different attractive may be offered with Walton products as sales promotion tools. According to the opinion of most of the dealers, it is assumed that Walton is in the third or fourth position in the market. So in order to exist in the market for a long time and to acquire the first position, Walton should take some pragmatic steps. Quality products have to be introduced, customer services has to be very prompt, good relation should be maintained with the dealers, continuous monitoring system should be initiated, “made in” should be inscribed on the products, price should be same everywhere, one dealer should be employed at a particular region, effective promotional plan must be taken. To Increase good relationship: Distributors are the main sources for the sales of electronic products. So my recommendation is that, the company should extend and increase good relationship with all dealers and salesmen. Price Stability: Presently because of “Under rate” process the distributors are facing different problems. As “Under rate” of product price creates a great problem in smooth selling, therefore price stability of all product is very much necessary. Availability of marketing executives: In present competitive market situation most of the competitive companies are engaging a big marketing executives to capture the market. In compare with that Walton marketing executives are not sufficient to cover all of the distributors. So marketing executives availability should be ensured. Low price of products: At present the price of Walton products is relatively high in comparing to other competitor companies product. But to capture the market and reach their product to all kind of customers, my recommendation is that, Walton should reduce somewhat their product price. Advertisement plays a vital role to run any business well. But in my survey, I have found hat the TV advertisement of Walton is not satisfactory at all. So the company should pay more attention to advertising. From my survey I came to know that the of some products of Walton is very low. Some products create disturb even two or three months after selling. If Walton wants to exist in the market for long time and face the competition, it must concentrate on better quality products. Continuous customer contact and monitoring is essential. Integrated Marketing Communication (IMC) must be used. Customer attraction and retention policy should be modified. To identify new area where the product is not available. At last I want to say that the company should practice Total quality management (TQM) properly. 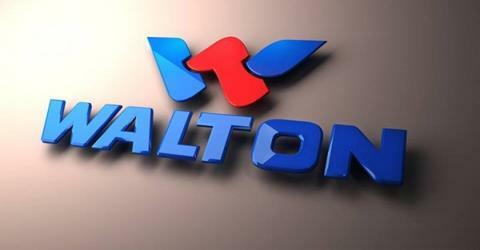 Walton is one of the leading companies, focusing on the area of electronics in Bangladesh. It is dedicated to creating and delivering products of unquestionable quality that enable people to enjoy more entertainment and comfort. In this spirit, Walton encourages its employees to ensure quality products and service. No doubt in Bangladesh Walton is one of the top four. Walton has also endeavored to strengthen its Sales in all over the country. They are optimistic about their perpetual growth and success. But from my survey I came to the conclusion that the customer service given by the company is not effective and well organized. Because of some problems, Walton can not cope up with their competitors. In this competitive market many competitor company provides better service than Walton. They provide prompt service, service the show rooms and even home service. They also keep a good relationship with all dealers and salespersons. They give the distributors bonus, occasional gifts and so on. In this regard the Sales of Walton are somewhat behind them. Walton Management and Marketing Executives should be more skilled and active. However if the management of Walton takes prompt and imitative steps to solve the discussed problems then definitely Walton can reach to the number one position in Dhaka Zone. A REPORT ON SUBSIDIARY PERFORMANCE AND ENTRY MODE IN EMERGING ECONOMIES.